Yesterday HM the Queen, now her 90th year, attended the Annual Commonwealth Day Service at Westminster Abbey. As Head of the Commonwealth, her commitment and dedication have been central to making this loose linking of 53 countries a tried and tested force for stability and mutual cooperation. The Commonwealth is a fortuitous creation of recent history. The name itself is a bit of a contradiction and an odd way to describe a grouping of countries at different stages of economic development with huge disparities in wealth. Member countries also differ considerably in their adherence to human rights and freedom of worship. And yet to my mind, it is a grouping of countries that carries hope and a sense of common vision necessary in an uncertain world. I believe there are two reasons for this. The first lies in the curious ability of British people to turn people of countries they conquered and once ruled, into friends and equals, united by a shared history of respect and understanding. Equally important is the central role of Her Majesty as Head of the Commonwealth. Her warmth and enthusiasm has been a noticeable feature of the Commonwealth Day Service for many years, and it is also evident in her Christmas day broadcasts. The service in the Abbey always includes readings and prayers from other Commonwealth faiths. This warm welcome to those of different faiths echoes the central Sikh teachings that we are all members of one human race and that no faith has a monopoly of truth, The Sikh holy book, the Guru Granth Sahib itself contains the writings of saints from other faiths to highlight shared core beliefs. To me, this improbable grouping of multiple identities gives strength and inclusivity-the theme of this year’s celebration- to the Commonwealth, to help it meet many of the challenges of human rights, religious freedom and sustainable development facing it. It has already gently helped the Sri Lankan government set up a Truth and Reconciliation Commission to investigate alleged human rights abuses against the Tamil Tigers and it could lead to similar initiatives to address other concerns. A common ethos of respect and unity of purpose can achieve much, and in this the Commonwealth has much to offer. The news that Royal Navy vessels are to be sent to the Aegean to curb the activities of people smugglers has much to commend it, but for some, it masks the fact that many of those risking their lives and savings to clamber onto leaky and overcrowded boats are refugees. Not so long ago the word ‘refugees’ conjured up images of innocent men, women and children fleeing terror. Today, the word refugee is sometimes interpreted as alien hordes, and tear gas and razor wire fences have been used to keep would-be refugees, including young children at a distance. This morning’s decision on agreed controls goes to the heart of the moral dilemma of deciding whether refugee applies only to those fleeing a war or whether it can also encompass those seeking a better life for themselves and their children. Ongoing violence in Afghanistan and Iraq, abuses in Eritrea, as well as poverty in Kosovo, are also leading people to look for new lives elsewhere, and not just in Europe. As a Sikh, I applauded the initial welcome given to refugees fleeing from Syria. It was a welcome that resonated with Sikh teachings that, even in the height of conflict, we should never forget that we are all members of the same one human race and our highest religious duty is to look to the needs of others. The crisis in Syria is linked to the wider turmoil in the Middle East following the second Gulf War. The pro-democracy demonstrations, cracked down on in 2011, were followed by the emergence of ISIS with its brutalities and beheadings and the horror of bombs raining down on the long-suffering people of Syria, from all directions, including Russia, ISIS, the coalition allies and President Assad himself. Who would not wish to leave? The inevitable exit of refugees has almost become an unstoppable tide. The problem, now, in dealing with such large numbers is immense. The current tentative ceasefire in Syria is perhaps the best hope for their future, but there are very real difficulties in translating this to peace and stability. Sikh teachings are not alone in emphasising our common responsibility to help those fleeing tyranny. I believe it’s important that any agreed system of controls on the grounds of expediency should not reduce our sense of our common humanity, or blind us to the importance of our values and ideals. The Department for Communities and Local Government (DCLG) have confirmed that Police forces in England and Wales will be reporting on religious hate crime according to religion, and this will include Sikhism. Proposals set out by the Prime Minister will be implemented this year on a voluntarily basis from April 2016, however DCLG have confirmed that all Police forces will have to disaggregate their hate crime figures by religious hate crime from April 2017. Over the last year the NSO has raised the plight of Sikh victims of hate crime, who have been incorrectly logged as victims of ‘Islamophobic crime’. Lord Singh of Wimbledon has expressed his concern with Ministers and spoken about them in a number of debates in the House of Lords. In January, following the NSO’s campaigning it was revealed that 28% of victims of ‘Islamophobic hate crime’ recorded by the MET in 2015, were in fact not Muslim at all. They comprised of Sikhs, Hindus, Christians and victims of no recorded faith. Greg Clark, Secretary of State for DCLG recently wrote to Lord Singh, the Director of the Network of Sikh Organisations. 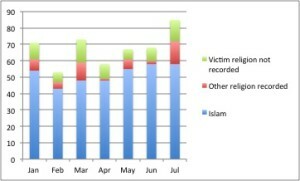 Last month it was revealed that 28% of the victims of ‘islamophobic hate crime’ offences recorded by the MET in 2015, were in fact not Muslim at all. They comprised of individuals from the Sikh, Hindu, Christian communities and those with no recorded faith. The Network of Sikh Organisations (NSO) has obtained MET figures for the first 7 months of 2015, and it’s notable that in March 2015 – 34% of victims of ‘islamophobic crimes’ were non-Muslim. In July 2015 the figure was 32%. I’m sure you will agree these are not insignificant numbers. acknowledged the high number of non-Muslims who have been lumped together into this category. We believe our campaigning on the issue has been instrumental in uncovering the truth. It is clear there has been a historic lack of transparency on this issue and it’s regrettable. Moreover, Sikhs who continue to face significant prejudice since 9/11, feel like they have been simply brushed aside. Rather than being counted as a separate statistic, non-Muslims have unknowingly contributed to a figure, which until now, was assumed to be indicative of attacks solely on the Muslim community. As things stand, Sikhs, Hindus and Christians have not been given the dignity of being counted as a separate statistic. 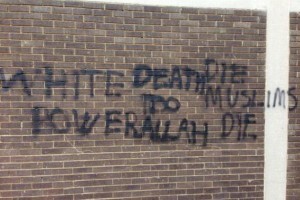 We believe hate crime should be tackled even-handedly and are pressing the government for change. We ask you to consider the non-Muslim victims of ‘islamophobic crime’ when you cover stories about ‘islamophobia’ in the future.